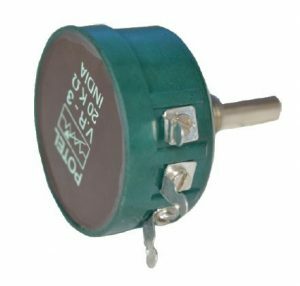 Potentiometer V.R-3 is a panel setting device for a maximum wattage ratting upto 3 watt. V.R-3 has been specifically designed to have longer life, No discontinuity and smooth movement of shaft. For best performance of V.R-3 below points needs to be taken into consideration. 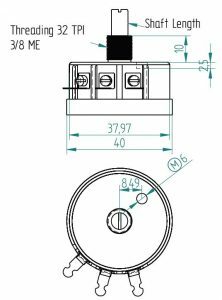 2) V.R-3 should be mounted with Star washer given along with the product and perpendicularity between the panel and axis of potentiometer should be maintained. V.R-3 - Resistance Value - Shaft length - Any specific Info.